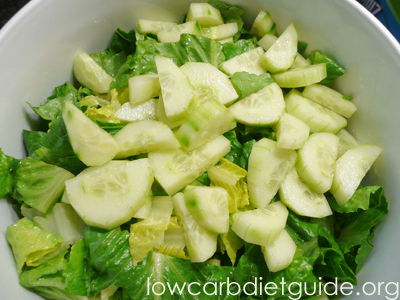 There are different low-carb diets such as the South Beach, Atkins, and Paleo diets. All of them have one thing in common – they limit the intake of carbohydrates. At the same time, dietary plans differ when it comes to the types of foods allowed, the ratio between carbohydrates, fats, and protein, etc. Given the differences across no carb dietary plans, there are some myths and misconceptions about them. A common misconception is that these meal plans ban fruits and vegetables. While fruits are not allowed during the induction phase of the Atkins diet, all low-carb plans encourage the consumption of fruits and vegetables. During the induction phase, for example, you can have 1 serving of each: macadamia, broccoli, spinach, avocado, and zucchini. In fact, dieters often end up eating more fruits and vegetables than they had before. Another myth is that people on a low carb diet are at a higher risk of kidney and liver damage. Studies have shown that protein actually helps to regenerate liver cells and contributes to cell health. One study has indicated that low-carb, high protein meals may be beneficial for the kidneys. A study published in Metabolism has confirmed that ketogenic diets are not harmful for health. Moreover, they may have a positive effect on some diseases, including epilepsy and cancer. A third misconception is that people on a low carb diet face a higher risk of developing heart disease. A number of studies have established that these types of food improve cholesterol levels and decrease blood pressure. A research team at the Harvard School of Public Health conducted a study to measure the risk for heart disease in people on a low carbohydrate diet. The study was published in NEJM and followed over 80,000 participants within a period of twenty years. The research has confirmed that such foods do not increase the risk for heart problems. Another study was conducted at Stanford University and looked at low-carb dieting and cardiac health. The study included people on the Ornish, Zone, and Atkins diets who were obese or overweight. Participants who followed the Atkins diet lost more weight than those on the Zone and Ornish diets. Moreover, people on a low-carb, high protein diet saw improvements in their cholesterol and triglyceride levels. A fourth myth is that plans such as the Atkins and South Beach do not include many fiber-rich foods. The opposite is true – such meals encourage the consumption of foods with fiber because it is not digested. It is recommended to eat fiber-rich foods such as chicory, avocado, broccoli, mustard greens, and egg plant. Snow peas, for example, contain 2 grams of fiber and 3 grams of carbohydrate. Blackberries have 8 grams of fiber and 6 grams of carbohydrate. Other fruits and vegetables have even more fiber. There is a similar misconception about minerals and vitamins. Some people believe that low-carb meals are deficient in important minerals, vitamins, and other nutrients. In fact, these diets emphasize a balanced menu that includes fruits, vegetables, dairies, meat, and eggs. Many foods are packed with vitamins and antioxidants as well. Another myth is that low carbohydrate diets lead to loss of water and protein rather than fat loss. In reality, people lose more weight than those on a standard meal plan. One study published in Annals of Internal Medicine has shown that low carb dieters experience a decrease in triglyceride levels and lose more weight. While some participants experienced mild adverse effects, only one of them chose to drop out because of them. Moreover, side effects such as constipation, headache, and weakness were short-lived. While there are many myths and misconceptions about low carb diets, numerous studies have shown that they have beneficial effects such as improved cholesterol levels, lower blood pressure, and steady weight loss. Such meals combine nutrient-rich foods and are loaded with vitamins and antioxidants.